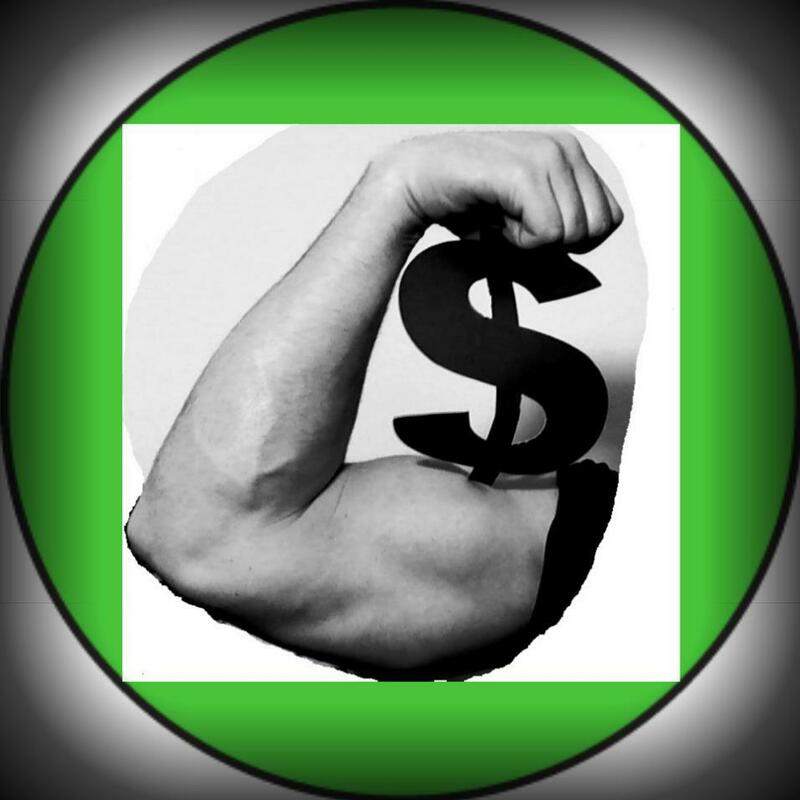 Frugal Fitness Fans this is it, time to flex my frugal food budgeting muscle! 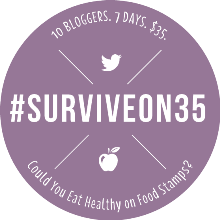 Today is day 1 of the #SurviveOn35 challenge to live healthy with no more than $35 worth of food, the same amount as government assistance / food stamps. 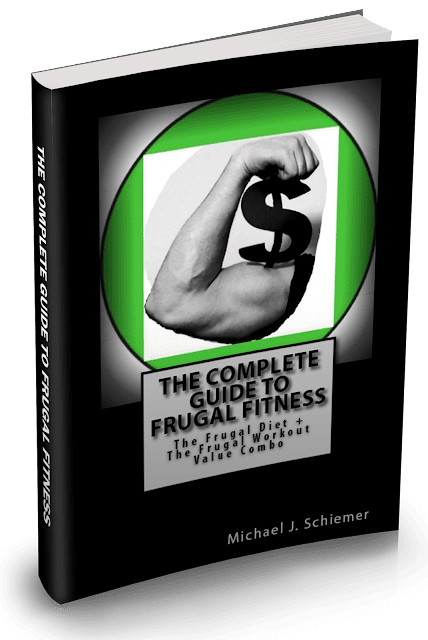 Now I don't have much money, and I haven't for many years now (which is why I started Frugal Fitness and wrote The Frugal Diet in the first place), so this is nothing new for me. I've always had to make the best of a tiny budget and nutrition hasn't been any different. While it is difficult and limiting in many ways, eating healthy on a meager budget is possible and I'm off to a great start! 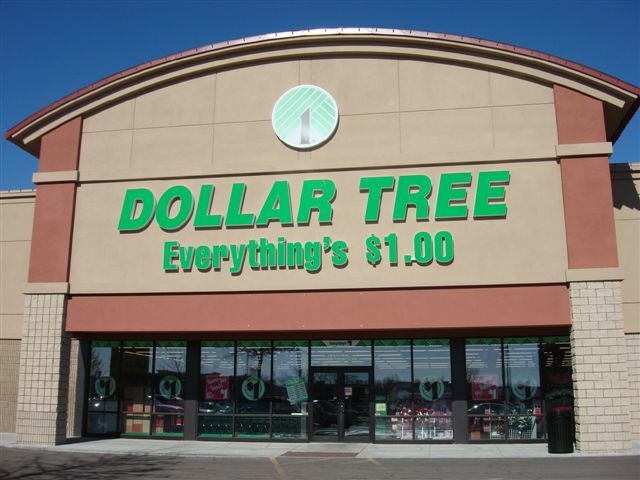 I did all my shopping yesterday and got more than enough for the long week of chowing down in thrifty fashion. I think it is a great idea that can educate a lot of people, show off some great products, and also this challenge helps to raise money for the impoverished through the contest sponsors, ANYTIME FITNESS and their founder Chuck Runyon, who recently helped many charitable organizations while appearing on Secret Millionaire. I'm up against stiff competition, but I love this kind of stuff and I've already had a tasty day of cheap eats! This really means a lot to me and I know it can help a lot of people. 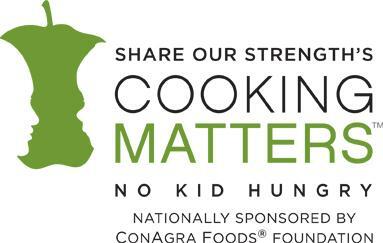 Also, please donate to the Cooking Matters organization! For More Information On The Contest, Check Out The Full Article By ANYTIME FITNESS! I will give you a preview, and you will see if you check out my Instagram, Twitter, and Facebook, that I shopped at Target, Dollar Tree, and Stop & Shop for all my items. I came out with about 40 cents left to spare too and I should even have a bit of leftovers of some items. 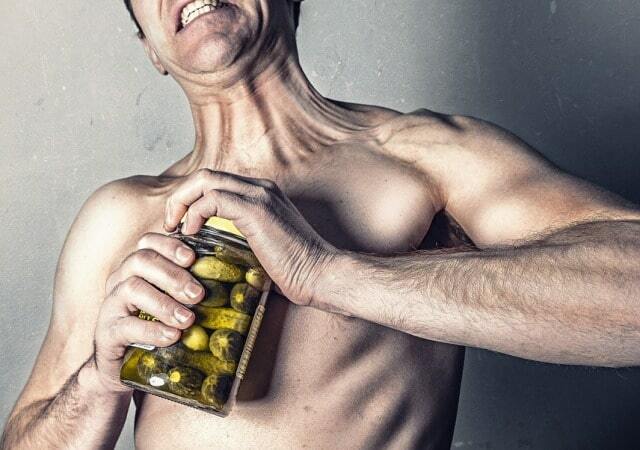 What items did I by, what meals do I make, and how full does my stomach (and muscles) stay? You will have to follow along and see for yourself! 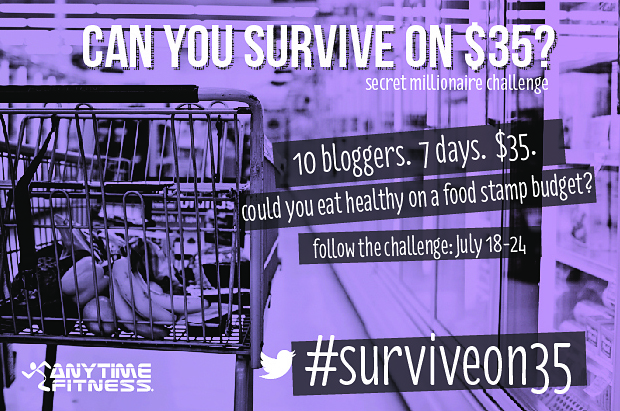 I'll be posting pictures of everything through Tuesday 7/25, Posting a detailed wrap-up on 7/26, and participating in a Twitter Chat on #SurviveOn35 that night answering all of your questions! Also Join Me & Other Participants For a TWITTER CHAT ! #SurviveOn35 On 7/26 At 8pm CST!